The City of Union Streetscape project was funded with CDBG funds from the SC Department of Commerce. The city invested $551,382, with $490,284 coming from the CDBG grant. 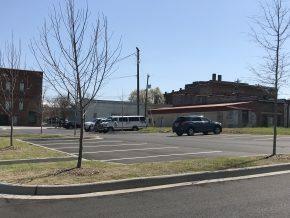 The project paved the city parking lots between N. Gadberry and N. Pinckney Streets in downtown Union. New sidewalks, decorative lighting, landscaping with irrigation, and a screened dumpster area were included as part of the downtown beautification project. The central business district has much needed parking and pedestrians have a much safer route to the businesses and service located in historic downtown Union.